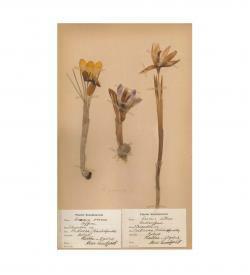 [»HERBARIUM VIVUM« OF SCANDINAVIAN PLANTS, collected by Arna Lundquist.] 64 specimen of herbal plants and flowers, mounted on cardboard. S.l. : 1930-1933.